Willa Friday has sworn off amateur sleuthing. She's focused on growing her food blog, that is until her assistant goes AWOL. Then her mother-in-law leaves an urgent message. Once again, Willa is tracking down a killer. When Willa returns from a food bloggers conference excited and ready to get busy on her blog, she is surprised to discover that her always responsible assistant Jacob is MIA. Before she has time to do more than get irritated, her mother-in-law calls her demanding her presences. 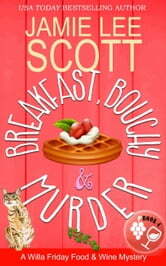 It turns out that a good friend has been murdered and Hattie wants Willa's help solving the murder. Between trying to figure out who killed Ruth and trying to locate her assistant, Willa has no time to focus on her blog. She soon hears that Jacob was last seen with the missing adult son of the murder victim who has recently come out of rehab, so she is more worried that ever. Things just keep going down hill from there. From plodding investigation to life and death action the book kept me in its grip from beginning to end. 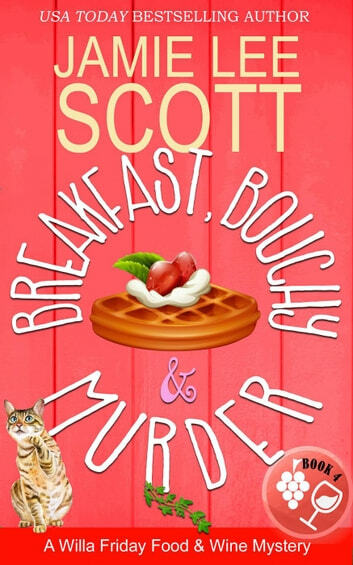 Books in the Willa Friday Culinary Cozy Mystery series are usually auto-buys for me but I had a personal loss about the time this one came out and I didn't even know there had been a release. I am so glad that I saw it on a list of good books that came out in 2018!